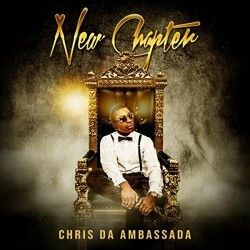 Chris Da Ambassada AKA Ambassada is one of the leading lights of the UK Gospel Reggae scene, something confirmed in 2018 by the Premier Gospel Awards who named him as the "Best Reggae Artist 2018". "New Chapter" is the latest release and his 2nd full-length album after "Changes" in 2015. Despite the 3 year gap between albums, Chris has regularly dropped singles through the last couple of years before getting to his "New Chapter" album. You can find out a lot more about Chris Da Ambassada, including his incredible journey to faith, in the interview (click here) I did with him a couple of years ago. "Prayer Time" opens the album and talks about the importance of praying to God and the way that it can change things, because of who it is you are talking to. This is introduced through some spoken word before the track takes off. This track takes a rap/reggae vibe along with the very catchy hook of "prrr, prrr, prrr, pray to God" which I heard being repeated by a fairly impressionable 5-year-old who heard the track a couple of times. Sometimes I complain that some tracks are a bit simplistic and shallow, but if you really get into what Chris is representing here there are some pretty deep concepts about prayer included even though the track feels light and fun. One accusation that can never be levelled at Chris is that he is boring or slow. This album is pretty high energy from start to finish with only a few tracks that come with the more laid-back beats, like "Perilous Times" and "Leave It Alone" in the middle of the album. These come after the rather infectious tracks of "Warrior / Arise / The Blood" and "I Declare" which features The Cokers lending their vocals to the track. "I Declare" repeats the line "I decree and I declare that Satan can't hold me down" and similar statements, claiming various spiritual promises from the Bible. A track with a similar message is "Speak Life" which is about speaking life in various circumstances including over sickness and witchcraft. I think it is important to make the distinction here that what is being claimed in both of these things are Biblical promises. This song reminds us that the Bible talks many times about the power of our tongue and speaking Biblical blessings over ourselves and others. "Good God" is a praise track which has a great summery sound and plays on Don Moen's "God is good, all the time". There are a lot of different subjects that are covered through this album, we've already seen thoughts on prayer, the power of the blood of Jesus, the end times, and also getting involved in other people's business. "Mek Up Yuh Mind" is about deciding which world you want to live in as it says you can't praise God and praise the devil at the same time, we need to make a decision and live it because we don't know when Jesus will come back. 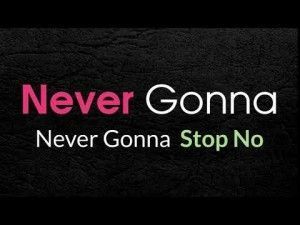 The next song is about the times when things are hard and you might be questioning your faith, the answer isn't to give up but to "Keep Pressin' On". This album sees a fair few collaborations with other artists. The most regular collaborator with Ambassada is Chantelle, she is someone that Ambassada has worked with many times over the years. I've already mentioned The Cokers, but there are also tracks with DJ Nicholas ("Speak Life"), T'Neek ("No Way"), Jason Mighty ("Party Time"), Sade Sealey ("Roll Out") and Volney Morgan and New Ye ("Turning Up"). This list of artists is quite impressive and adds weight to this album, but actually, the album is definitely good enough to stand on its own merits. If you have no experience of Christian Reggae music, or your experience is limited to Christafari, then this album from Chris will be a huge revelation to you. I love what Christafari do, but they stick to only a few reggae styles, but Ambassada has a much more up to date sound which blends various RnB styles, some electro dance vibes, rap and hip-hop sounds along with the reggae coating. Chris has put together an incredibly strong album. Some tracks are more focused on teaching and informing about aspects of Christian life more than others. Other songs have an evangelistic nature and the need to choose who you are going to live your life serving. Others are just about the wonderful God that we serve. Overall there is a theme of "Changes to the World" that is repeated at times through different tracks, along with some self-promotion, that is what we are meant to be and what Ambassada is trying to encourage. The lyrics and beats are totally infectious, you will struggle not to smile through some of these tracks and others will, at the very least have you shuffling your feet, but if you are of a more lively persuasion I think you will be out of your seat within seconds of the album starting! These are 14 impressive tracks that are thoroughly enjoyable!